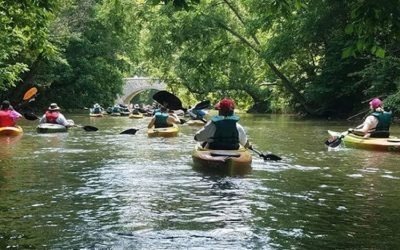 The recently signed Chesapeake Bay Watershed Agreement calls for a total of 181,440 stream bank miles to be restored with forest buffers by 2025 – that’s 900 miles per year! The Goose Creek Association is doing our part to reach that goal by planting trees and shrubs along local farm stream banks and wetlands with help from students and volunteers. So far, GCA has planted over 20,000 stream bank linear feet with over 7,000 trees, live stakes, and shrubs on local farms in Fauquier County. 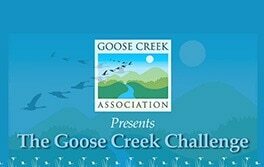 In 2012 GCA initiated a community effort to stabilize the banks of Goose Creek and its tributaries, by undertaking a significant tree planting effort that we call “The Goose Creek Challenge” (TGCC). TGCC plants trees, shrubs and grasses in order to stabilize the stream banks. The tree planting engages student volunteers, Scouts and families, thus accomplishing conservation education. We are working with county and other organizations to help finance this effort. 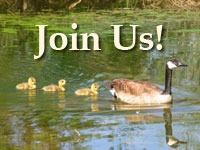 We work with interested landowners on this multi-year challenge to protect our creek for future generations. Read Marcia Woolman’s April 11, 2014 article on the Goose Creek Challenge in Middleburg Life, A Season to Plant Trees for All the Right Reasons.